Lonely Planet calls Indy "America's most surprising city." Travel + Leisure says it's "America's next big destination." Come see why. Indianapolis is best known for auto racing, but this diverse Midwestern city offers surprises at every turn. Whether you’re a first-time visitor or a lifelong local, this guide points you toward some of Indy’s most popular destinations — and some of its best-kept secrets. Ride an old-school carousel at the world’s largest children’s museum. Sample a shrimp cocktail that will actually take your breath away. Brave the ”suicide seats” at a jam-packed bout of roller derby. This guide highlights Indy’s best food and drink, cultural attractions, and shopping districts, as well as options for live music and outdoor recreation. Best of all, the book is packed with insider tips that can save you time and money — and help you make the most of your time in the Circle City. The new edition is here! New edition coming this fall! 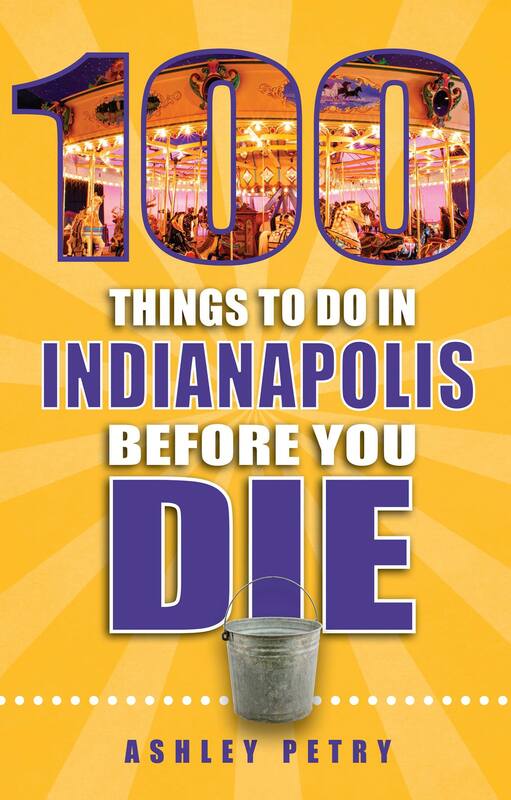 "100 Things Indy" is part of a national guidebook series published by Reedy Press. Find more top cities here.